Bees make for such cute outfits! The light blue shortsleeve shirt has a yellow beehive applique on the chest. The neckline of the shirt is stretchy and there is matching light blue and white checkered pull-on shorts to match. The shorts have an elastic waist and help bring out the outfit. 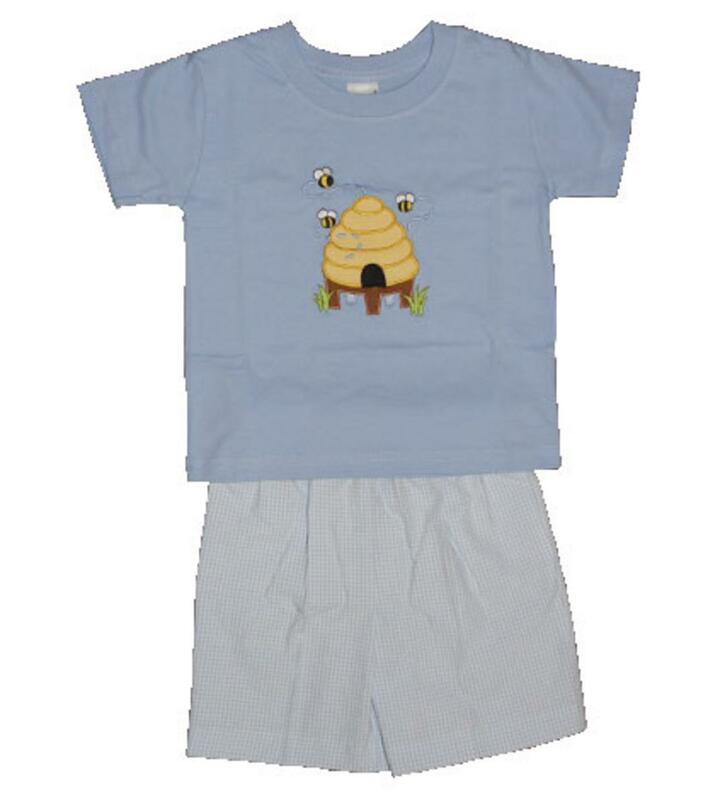 The soft shirt and shorts are 100% cotton.